The coffee giant's new Cloud Macchiato will be a permanent menu item and combines coffee with one of Grande's favorite things — clouds. (NEW YORK) — Starbucks is introducing a new drink with the help of appropriately named singer, Ariana Grande. With two flavors, caramel and cinnamon, the company is encouraging customers to try one then say “thank u, next” to another. Grande has helped Starbucks with the launch of their drink with a series of social media posts featuring her rocking Starbucks gear. The party doesn’t stop there. Starbucks will feature playlists of Ariana’s favorite music, including her own hits, in stores across the country. So if you see it, you like it, you want it — go get it. 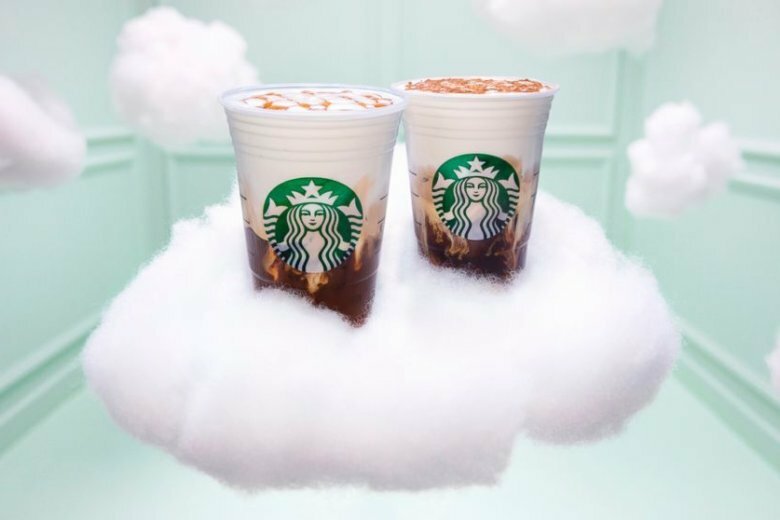 The Cloud Macchiato is officially in Starbucks cafes around the country.